Vacationing in San Diego with the family? Well don’t wander around aimlessly. If you’re interested in San Diego attractions, here are seven magnificent places to visit that will be enjoyable for the whole family. This museum delves into military and navy history with great exhibits and expert guides and helpers to give tours and answer questions. This great museum can easily interest the family for several hours. This lovely reserve is a great place to go to get out into nature. With a lovely walk and hiking place, a beach, wonderful views, plenty of space for children to run, and picnic spots, this park will refresh those who just need to get outside and have fun. The zoo is one of the most classic family-friendly activities, and this one is an exceptional avenue for seeing rare animals, including giant koalas and pandas. Kids will get excited to be only feet away from some of their favorite animals. Catching a live play is always a great source of entertainment for the family, and this theater adjacent to the zoo makes performances extra special with its outdoor atmosphere. Get tickets reserved or buy them the day of the show. Performing Shakespeare and musicals, patrons everywhere rave about this theater. Geared specifically for children, this aquarium is a great place to go to. The expert staff are quick to help and answer any questions, and though it may be small, the exhibits are magnificent and fascinating. Plenty of activities for the children, and you can even watch a show where they feed the sharks! For sports families, this ballpark is a great stadium to visit. Tickets are affordable, the seating is excellent, and for $10 a person you can get an hour long tour of the park. What an exciting event for any baseball lover! Though the water and sand may be a bit chilly on the Pacific coast, you still can’t beat a day at the beach. With a nice boardwalk, an amusement park nearby, and excellent waves and sand for swimming, playing, and tanning, the beach is a must stop for any family on vacation. 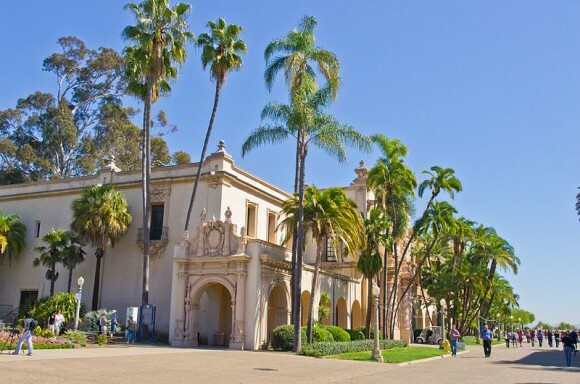 Balboa Park is s special cultural park in San Diego. The park contains museums, gardens and theaters. Balboa Park is also home to the previously mentioned San Diego Zoo. Balboa Park has plenty of activities for kids of every age. If you plan to sneak in a trip before the summer’s end, the park is having a photo contest with prizes for all kids ages 6-17. San Diego has plenty of family activities, from museums to parks to theaters, and there is so much for you and your family to see and do. So book out your trip now and have a great vacation!